When we talk about the quality of the players, the conversation quickly turns to their value on the football market. And while the market value does not always show the real picture of how good the players actually are, it never fails to combine the player’s quality, potential and of course their performances. Most of the time when the money is in question, strikers take the spotlight, with midfielders and goalkeepers close behind. However, we cannot forget about the heart of any good team, the frontline, which defends the goalkeeper and the goal. We are of course talking about the defenders, who will be the topic of this article, where we will check the top 8 most expensive defenders in the world. Raphael Varane, the 25-year-old French defender has made a name for himself as one of the best, if not the best defenders in the world. 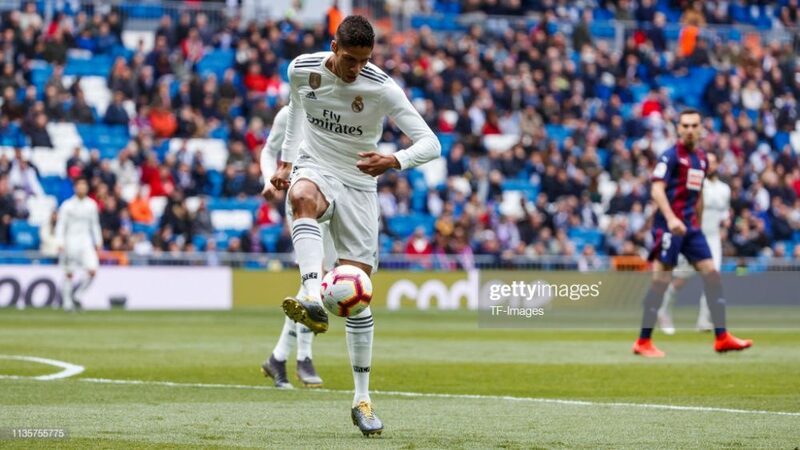 Despite his young age, Varane has been performing on the top level ever since 2010, when he joined the French side Lens, who sold him to the Spanish giants Real Madrid in the summer of 2011 for only £9.00m. Since his arrival at Real, Varane made a name for himself with exceptional vision, football IQ and phenomenal performances. His quality grew and with that, the market value followed. In 2011, he was valued at only £3.60m, in 2013 the value went up to £22.50m, and now, 6 years later it’s at £72.00m. In his career, Varane accumulated 56 appearances for France international squad, 24 appearances for Lens and 270 appearances for Real Madrid. He also scored 12 goals and added 6 assists. Virgil van Dijk, 27-year-old Netherland defender is arguably one of the best additions to the English Premier League club in recent years. He started off his professional career in Groningen in 2011. He later moved to Celtics squad in 2013, where he remained until September 2015, when Virgil van Dijk was signed by Southampton. During his time at the English side, he has brought a lot of attention on himself due to his exceptional performances. Not surprisingly he was approached by 4 English giants; Arsenal, Chelsea, Manchester City, and Liverpool. Out of the four clubs, Liverpool ended up being the team that seemed like the right pick for Virgil van Dijk, who chose to join the Reds in January 2018 for a fee of £76.19m, which was more than 2x his market value of £27.00m. This is also the world record transfer fee for a defender, in addition to holding the 11th place as the most expensive transfer in history. Nonetheless, Virgil van Dijk became the irreplaceable part of the Liverpool team and has already accumulated 62 appearances. In addition, he has 26 Netherlands national squad appearances, where he is also wearing the captain armband. During 62 appearances for Liverpool, Virgil van Dijk also scored 5 goals and added 3 assists. Moving down the list, we have got the Netherland national Matthijs de Ligt, who is valued at £63.00m at a young age of only 19 years. In his career, Matthijs de Ligt only played for one club, and that is Ajax, who has made him a player he is today. As with many other products of Ajax school, Matthijs de Ligt has shown huge potential in becoming one of the best, and market value wise, he already is. The fact that he is the captain of a team who have managed to humiliate Real Madrid in 1/8 finals of the Champions League only adds to his value. His captaincy of Ajax in the Champions League also made him the youngest captain in the knockout phase of the Champions league in the history, with 19 years and 186 days of age. In his career, he has accumulated 106 appearances for Ajax, scored 10 goals and added 5 assists. In addition, he has appeared for the Netherlands national team 15 times. While his value is currently at £63.00m, we can be sure that the final sum of a potential transfer would easily reach £100m if not more. Lucas Hernández, the 23-year-old France international, who spent his whole career up until now at Atletico Madrid. He started off in Atletico Youth squad and worked his way up. Ever since he was called into the squad in the summer of 2015, Lucas Hernández accumulated 110 appearances for Atl Madrid. In addition to that, Lucas Hernández also made his France team debut in March 2018. As it stands now, he has accumulated 15 appearances for his country. Due to his exceptional talent and work rate, Lucas Hernández was approached by the German team, Bayern Munich, who already settled on the deal of bringing him into the squad for a fee of £72.00m. The transfer will be executed in July 2019, which would technically make him the 2nd most expensive defender in the world. At our no.5 spot, we have got yet another Atletico Madrid player, José Giménez, the 24-year-old Uruguayan defender who is a part of the Spanish side ever since 2013, when he joined from Danubio FC for a fee of £810k. Ever since then, José Giménez has never played for any other club but instead got a chance to improve while playing for Atletico Madrid, where he grew and became one of the best defenders in the world. With his performances and quality as a player, the price tag on his head slowly grew larger and larger with each passing year. By 2016, José Giménez was already valued at £27.00m, by 2018 £45.00m and now, only a year later it’s at £63.00m. The real value for him is unknown, however, we can be sure, any club that would want him in their squad would need to be ready to offer more than £63.00m for the move to even be considered. During his time at Atletico Madrid, José Giménez accumulated 163 appearances, scored 8 goals and added 7 assists. In addition, he has 48 caps for his national team, where he played his debut at an early age of 18 in 2013. Another product of France, Samuel Umtiti has earned his place at the top 8 most expensive defenders in the world. Samuel Umtiti, the 25-year-old defender started off his professional career in Olympique Lyon in 2011, where he remained until the summer of 2016 when he got approached by Barcelona, who expressed their desire to acquire him for a rather large fee of £22.50m. Not surprisingly, Umtiti took the offer and joined one of the most well-known clubs in the world, where he remains up to date. While he was a good player in Lyon, his potential started showing and market value started growing soon after joining Barcelona. From being worth barely £13.50m when he joined the Barcelona in 2016, Umtiti value grew to almost 3x as much by the end of 2017 (£36.00m). By the start of summer of 2018, his value grew to £63.00m, where it remains up until now. It’s hard to pinpoint where exactly Samuel Umtiti excels. He is an all-around defender and a joy to have in the squad for any team. In his time at Barcelona, Samuel Umtiti accumulated 94 appearances, scored 2 goals and added 1 assist. Additionally, he was a part of France national squad on 29 occasions. Kalidou Koulibaly is a 27-year-old Senegalese defender, who was born in France, however, decided he will represent Senegal instead. Kalidou Koulibaly professional football career started off in Metz in 2010. After only 2 years, he was approached by Belgian team Genk, who signed him for a fee of £1.17m. After spending two years in Belgium, Kalidou Koulibaly’s potential and quality was noticed by Italian Serie A team Napoli, who brought him into the squad for a rather low fee of £6.98m. Up until that point, Kalidou Koulibaly progression as a player was rather slow, but that soon changed after he arrived at the Italian Peninsula. Under the right guidance, Kalidou Koulibaly slowly became one of the best and most valuable defenders in the world. Only 3 years after arriving at the club, Kalidou Koulibaly already had the market value price tag of £27.00m, which was almost 5x as much as the market value he had while he was at Genk. Fast forward to the end of 2018, and Kalidou Koulibaly already established himself as one of the best defenders in the world. During his time at Napoli, Kalidou Koulibaly accumulated 203 appearances, scored 8 goals and added 7 assists. Since 2015, when he made his debut, he also made 32 appearances for Senegal. The recent transfer news suggests Kalidou Koulibaly could end up in Manchester United by the end of the summer, and while there were official numbers announced yet, a bid of around £90.00m is expected to arrive at Napoli. The oldest out of the top 8 most valuable, but still one of the best defenders in the world at the moment. We are of course talking about the 30-year-old Spanish player Jordi Alba, who started off his career in Valencia in 2008. After spending 4 years at Valencia, Jordi Alba was approached by FC Barcelona who bought him for a fee of £12.60m, which has proven to be one of the best transfers they have ever done. In almost 7 years at Barcelona, Jordi Alba became an irreplaceable part of the team and a player. In February 2019, Jordi Alba extended his contract with Barcelona which ties him to the club until 2024 and puts his exit clause at £430.76m. During his time at Barcelona, Jordi Alba accumulated 289 appearances, scored 14 goals and added 55 assists. In addition, he is a regular part of the Spanish club, where he has 68 appearances.